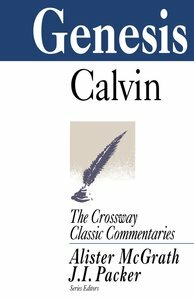 John Calvin's exploration of key passages of Genesis, a book of important beginnings and memorable accounts foundational to Christianity. A carefully abridged and stylistically adapted guide for today's reader. About "Genesis (Crossway Classic Commentaries Series)"
Timothy and Titus were two of Paul's faithful associates. When problems arose in a church, Paul knew he could depend on either one of them to handle the situation. In these three epistles Paul encourages his younger colleagues in their roles as pastors. He advises them on worship, leadership, integrity issues, and generation gaps. With confidence the aging apostle passes the torch of faith and exhorts them to be Christ's representatives on earth. The books of Acts provides an invaluable transition in the Bible from the life of Christ to the formation and expansion of the New Testament Church and the inspired apostolic letters of that era. The birth and spread of the Church, early struggles in the Body of Christ, and the conversion and later missionary journeys of Paul make for enlightening and nurturing reading for all the followers of the Lord Jesus Christ.